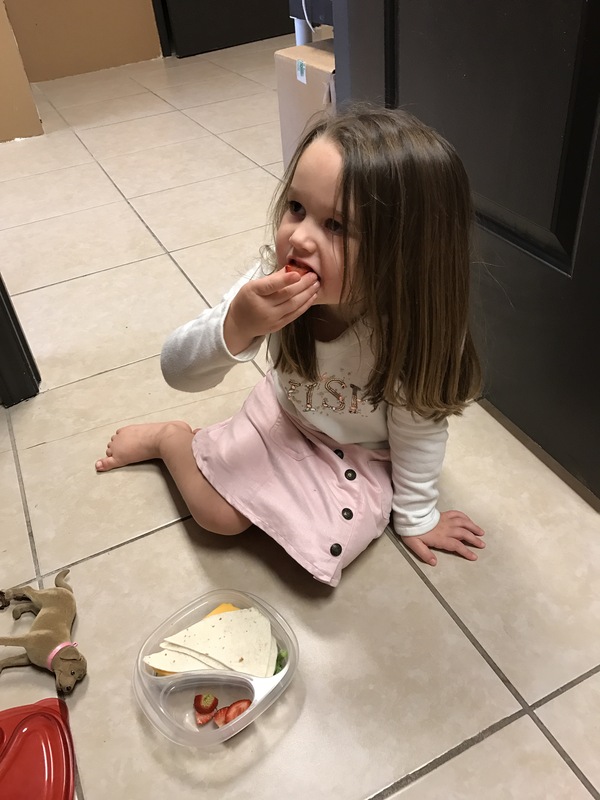 Parenting secret: you don’t have to spend hours preparing healthy snacks. I see a lot of adorable kid friendly snacks out there. I just want to put this out there – while vegetables that look like caterpillars are adorable, kids will also eat food that looks like this. If you don’t have time to make appetizing food art, that is okay. It’s still better to serve them a rainbow of colors than a processed snack. The important thing is that the vegetables are cut into pieces your child can handle, and they’re available. 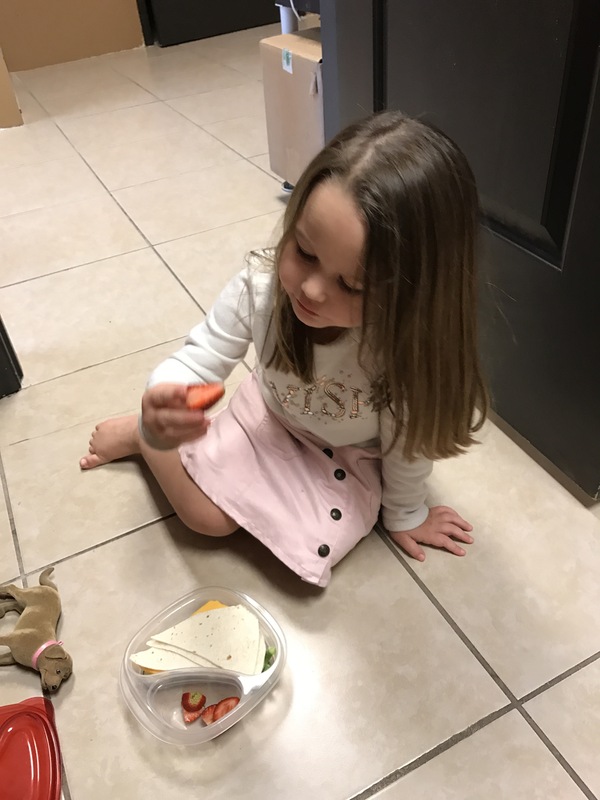 Even if your child wholeheartedly refuses to eat a vegetable today, the more they see it on their plate (or in their snack Tupperware), the more likely they are to try and enjoy healthy snacks.